4 Reasons to Hire a Certified Locksmith | Metro Lock & Safe Inc.
Posted on July 12th, 2013 by Metro Lock & Safe Inc. When society thinks of a locksmith, they picture someone who just helps you when you lock your keys in the car. However, the world of locksmithing has changed and so have the duties that fall under that position. They have moved into the home security realm to help also keep your home or office safe! To keep up with the ever-changing advancements in technology and the market, most locksmiths take advanced certified training programs to ensure they have the most up to date knowledge. This is why the precision and skill of a certified locksmith is a much wiser choice. They have a sense of accountably and tend to be a much more reliable person to count on, especially when it comes to your emergencies and your home’s security. Technology for security systems is constantly changing and being updated, its important to have someone you can rely on to give you the most trustworthy advice on which on to choose for your home. Having a certified locksmith who has up to date knowledge on the best systems on the market available for your home is really important. Even if your home is already equipped with a security system, a locksmith’s job doesn’t stop there. 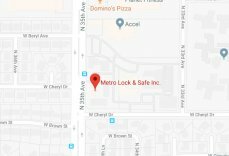 In the event that someone tries to break in and ruins your locks or damages other security equipment you need a 24-hour locksmith to come take care of the damage immediately. It’s important to always do your research when finding a locksmith, especially in the event of an emergency. Not only are there those home emergencies important to have a reliable locksmith, but also when you are stranded somewhere with your keys locked in the car or office. You need a locksmith that has the dependability to get to you right away so you can get on with your day. The most important thing you can do is do research when choosing a locksmith. Even though they may get the job done, not being choosy when picking a locksmith can put you at a higher risk. A reliable certified locksmith will make sure that the job gets done but also make sure its done properly without leaving mistakes for him to have to come back and fix and it turn, cost you more money. When choosing a locksmith, you are putting your trust in someone to do take care of the safety of everything you hold dear including your home, office, car and family. It is so important to do your research to make sure the locksmith is experienced, knowledgeable, and dependable.